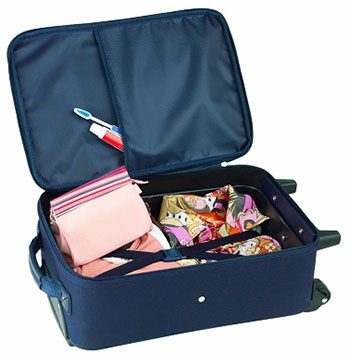 Some 51% of British holidaymakers leave something important out when packing the case, and end up spending an average of 31€ (£26.50) each on items such as toiletries, sunglasses, underwear, and swimsuits at either the airport or at their destination. That adds up to an incredible £684 million a year on replacing items already bought for an annual break! Passport and travel documentation – you can’t even leave the country without these! Travel insurance – readily available and essential in a number of worst-case scenarios. But check your policy – some are better than others. Money – whether you already have your Euros or plan to use your cards, you won’t get far without it. And finally, in order to hire a car with Malagacar.com you’ll need your driving licence. If you’re travelling from the UK you’ll need to bring both the photo card and the paper counterpart. If you’re visiting us from outside the EU you’ll need your International driving licence – and these all need to be the originals. Sorry but we can’t accept photocopies! You’ll also need a credit card, passport and the contact details and address of your holiday destination for our records. Here at Malagacar.com we try to help all of our customers get the most from their Malaga airport car rental. We can point you in the direction of the nearest shoe shop, but without your driving licence, we can’t help you enjoy driving one of the 50+ models of rental car available from us today.